Here a short inside view in an ongoing discussion to try to learn and understand more about the interaction of the different physiological systems and how MOXY opens a very new window to see this possible interactions now for many more people than just some researchers. I worked now over the last few month. 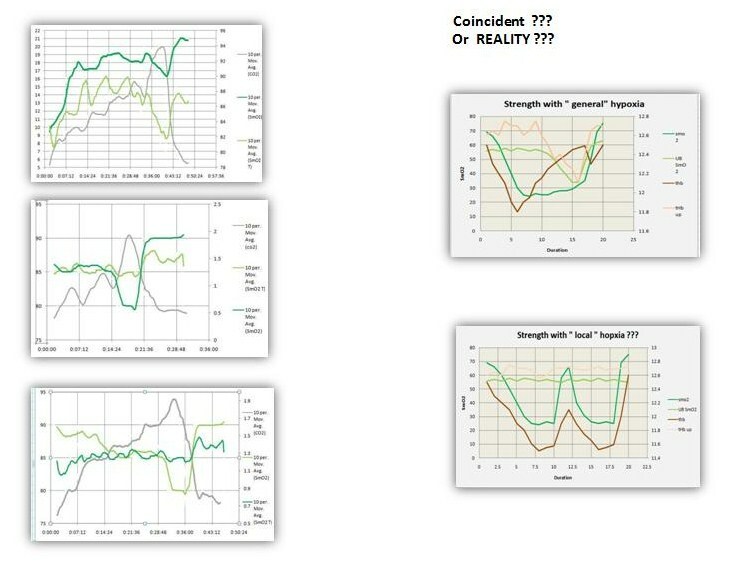 (Since Jiri's great data collection on comparison between local strength load like a squatting exercise and Jiri’s reactions in leg and trapezius muscle. If I load a main muscle controlled I will see a deoxygenation on the main muscle as soon supply is lower than O2 demand.
. or I see a drop in Smo2 as soon O2 diss curve shifts to the right and in the main muscle the O2 is needed and therefore it drops. In the next heavier load we see the reach of a O2 utilization plateau as long tHb doe s not show an arterial occlusion. but still no change in the non-involved muscle. If I increase the load so the main muscle start to be a risk in “steeling” too much O2 from the vital systems or the vascular reaction (vasodilatation is too big to maintain BP than we see a central regulation of vasoconstriction in non-involved muscle plus O2 shift to the working muscle. In these 2 cases we have three athletes from Jiri with three different reactions and I show 2 loads one heavy load and one super heavy load. Summary the main muscle will react first / central regulation to keep it going longer. So in Jiri’s 3 cases do we see in one case, that the trapezius as a respiratory auxiliary muscle may in fact be the main muscle before the legs due to a respiratory limitation ( weakness ) in that athlete ? 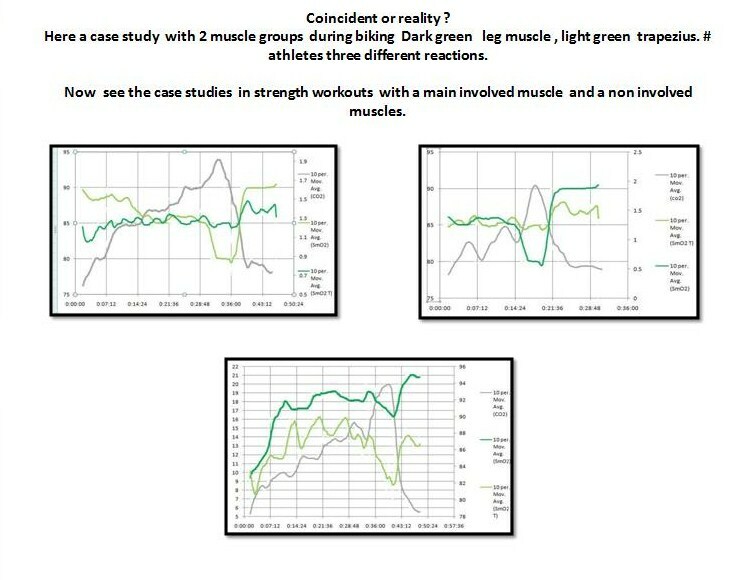 Can we use this to quantify the intensity of a workout?